In Turkey, people spend nine hours in front of a screen such as smart phone, tablet or computer, including four hours watching television, according to a study by Interpress Media Services. The most-watched programs on Turkish television are dramas, the study reports. The study also reveals that nearly 100 countries watch Turkish TV dramas and Turkey ranks after the U.S. as second in the world in the drama export with $350 million in revenue. In recent years, Latin American countries especially watch Turkish soap operas, which are among the top 15 programs in those countries. Overtaking the place of the countries like Brazil and Mexico, whose soap operas were very popular in the past, Turkey now exports TV dramas to these countries. According to their study, Middle Eastern countries mostly watch Turkish soap operas that depict wealthy and modern life, while Latin American viewers prefer to watch period dramas. European countries show interest in thematic dramas. Turkey’s new market goals in TV dramas are China, Japan and India, says the study, which reports that 10,672 news articles were published in the media about Turkish dramas. 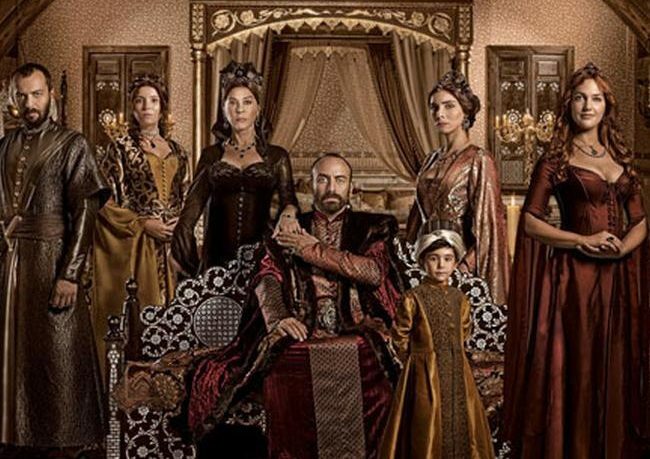 According to a study carried out by N’oluyo TV on the most-watched Turkish TV dramas in the world, “Muhteşem Yüzyıl” (The Magnificent Century), which focuses on the life of the 16th century Ottoman Sultan Süleyman the Magnificent, takes place at the top. Another once-popular drama “Fatmagül’ün Suçu Ne” (What is Fatmagül’s Fault) ranks second and “Binbir Gece” (A Thousand and One Nights) ranks third.